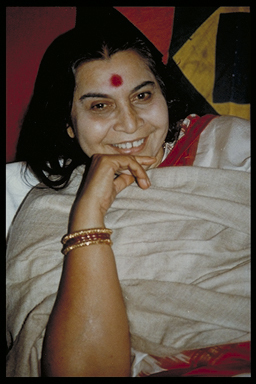 During an early visit to New Zealand, Shri Mataji was interviewed live by a well-known radio personality who had a reputation for cynicism and aggression. The exchange began with some hard-hitting questions about religion, the world situation and other contentious subjects. 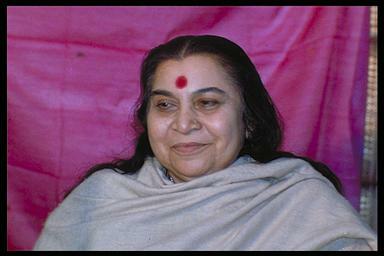 Shri Mataji answered with Her usual relaxed aplomb. Health became the topic and the interviewer admitted that he was diabetic. Shri Mataji talked about the causes of diabetes and the way in which it can be overcome through Self Realisation, which She explained. As the interview progressed, the interviewer became more sympathetic and positive. The workers at the radio station couldn’t believe what they were hearing. What the interviewer was saying was so out of character. They crowded around the studio window to watch and listen. Later the interviewer said he could feel the coolness in his head. ‘What about everybody else?’ he asked. That evening Shri Mataji told us that although the interviewer had a bad reputation, underneath he was quite humble, and so was ready for his transformation. ‘That is why he felt it so strongly,’ She said. The radio programme prompted a number of newspaper articles, all very respectful of Shri Mataji and very positive about Sahaja Yoga. Shri Mataji has told this story many times around the world. From: Eternally Inspiring Recollections of Our Holy Mother. Volume 4 – Australia, New Zealand and South East Asia. Pune, India: Nirmal Transformation, 2007.